If you’re dreaming of a perfect princess wedding then you might be on the hunt for a wedding venue fit for the royals. We’ve scoured the local area to find a few that might fit the bill. 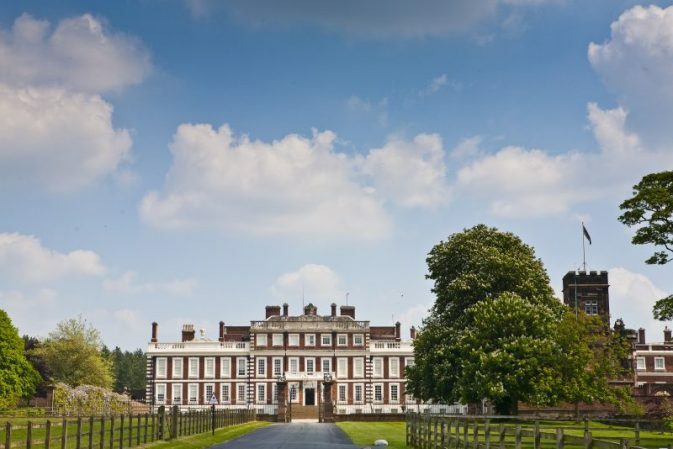 Knowsley Hall is an amazingly grand wedding venue that is home to the Earl and Countess of Derby. Landscaped gardens, a lake, a ballroom and a state dining room the photo opportunities are endless! It’s definitely a venue fit for royalty. Thornton Manor is a stunning country house in Cheshire. With ornate rooms and beautiful outdoor areas its perfect for an elegant wedding. It has a stunning bridal suite with stunning views overlooking the grounds. Filled with antiques, the manor house is very regal indeed. It’s every girl’s dream to get married in a castle like a princess, right? Just over the water from Liverpool is the stunning Leasowe Castle which could be the perfect venue for a royal wedding. Hillbark hotel is a venue decorated with wonderful historical architecture, it’s perfect if you’re going for that traditional fairytale theme. Set in the middle of a lush park, you will definitely get some beautiful photos fit for a King and Queen. Speke Hall is another venue steeped in history and stunning period features. It would be perfect for a royal celebration with the mix of historical rooms and gorgeous grounds. Where else in Liverpool would you say is fit for a royal wedding?